Community businesses and volunteers came together to help build Carol’s House. The Schumacher Homes framing crew of volunteers worked all day Thursday, framing most of Carol Armstrong’s Home by the end of \their first day on the job. On Thursday July 24 Carol Armstrong woke up to the dawning and rising of her ideal home in the Hidden Hills neighborhood off Central Avenue. At 7 a.m. there was nothing more than a concrete foundation, the Armstrong family, Jordy Tupper, and a Schumacher Homes framing crew. 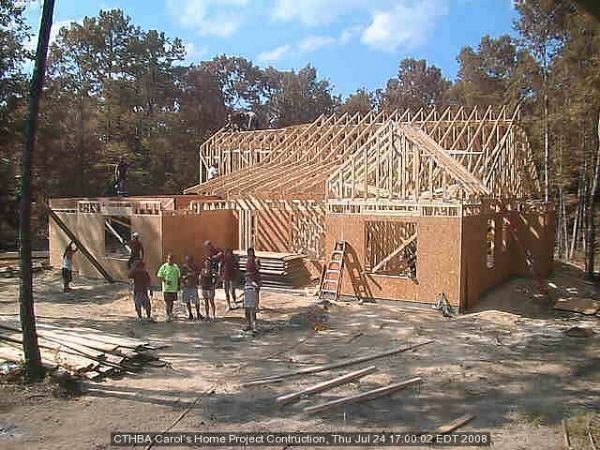 By noon most of the framing was up, and James, Carol, and Alexander Armstrong grilled hot dogs for everyone. The Charleston Trident Home Builder’s Association (CTHBA) provided dessert; hot honey-drenched sopaipillas. Progress is fast. 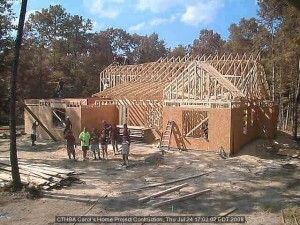 The crew of about ten framers framed about 80% of the house by the end of the day, said Phillip Ford, Executive Vice-President of CTHBA. The idea behind the house goes back several years, after Carol Armstrong was beaten severely and robbed in 2002, leaving her partially paralyzed and confined to a wheelchair. She has trouble moving through the narrow hallways of her current house, and in her new handicap-accessible home she’ll have the comfort of mobility and space. “Carol will be able to get to every room in the house except the frog,” said site supervisor Jordy Tupper of G Tupper III construction. When Ford heard of Carol’s situation about two years ago he knew something had to be done; he got the CTHBA board to approve building a better-suited home for Carol. Tupper thinks the house will be complete in two-and-one-half months, but said they still have monetary needs for interior trim, windows, and pocket doors. Donations can be made at any area Wachovia bank. Tupper emphasized that they also need volunteer cleanup crews. So far all the work and supplies have been probono for the Armstrongs, given by the kindness of strangers who Carol says treat her like family or life-long friends. “Somebody just had to step up to the plate and do it,” said Andy Barber of ProBuild, who provided all the lumber and roof trusses. “We fabricate our own roof trusses and all the major lumber companies gave us discounts,” he said. 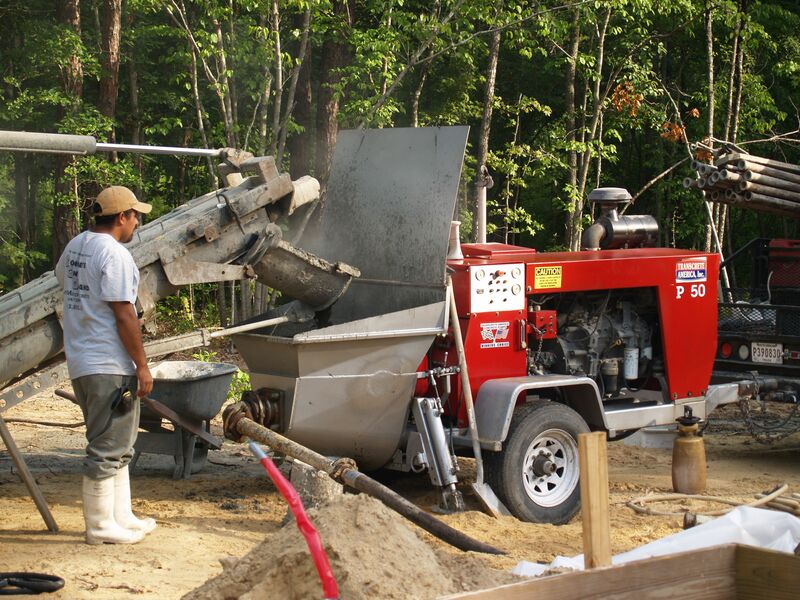 Melissa Villegas, one of CTHBA’s organizers, said the largest donation so far is from Concrete On Demand, a local family-owned company that donated $10,000 in concrete; they also cemented the house’s foundation. “Melissa’s the key. She puts her heart into it, she’s awesome, she’ s something words can’t describe,” Carol said. Carol is one of the kindest and most grateful people around. Tupper said her strong faith has helped her keep a positive attitude. “Elated. Astonished. Impressed,” is all Carol could say about the building of her home. She’s praying for the safety of the crew and is glad everyone’s getting along. “There hasn’t been any yelling or cussing,” she said. The only problem, Carol said, was the old blueprint was somehow incorrect. The ashes of the incorrect blueprint blew away with the wind in front of the construction site. After the old blueprint was burned a new one was made and work carried on. After lunch the workers had already particle-boarded the walls of what will be Alexander’s room, Carol said. 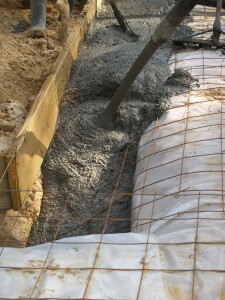 Here is a link to the news coverage from Thursday’s construction. The file is in Mpeg4 format. 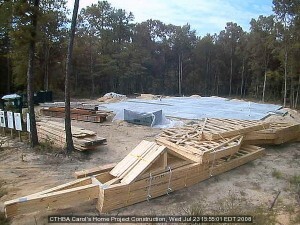 Here is a link to the time lapse video from today that shows the house being built. It is amazing how much was done today. The file is about 8megs and may require Quicktime to watch. Here is a quick update. The trusses have started to go up. So far 8 have been installed. A big thank you to all those that have helped so far. We are 1/2 way through the 1-day framing extravaganza at Carol’s Home and things are going very smoothly. The majority of the house was framed out before the lunch break. Carol, James and Alexander Armstrong served the framing crew hotdogs, chips and drinks and the Charleston Trident Home Builders Association provided some hot sopapillas for dessert. 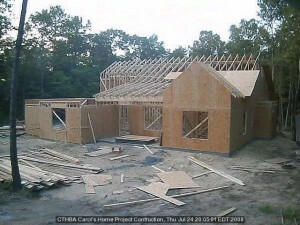 The crews just started back to work and right now they are nailing the OSB on and in a little while they will start working on the FROG floor and the roof trusses. The weather has been great – just a little hot and no rain. Keep checking us out on the webcam! Tomorrow is the big day for framing Carol’s Home! Today all of the materials were delivered. Take a look! Channel 5 and the Post and Courier have both already set up interviews for Tomorrow and other news crews are expected. Stop by the 1-day framing extravaganza anytime tomorrow. 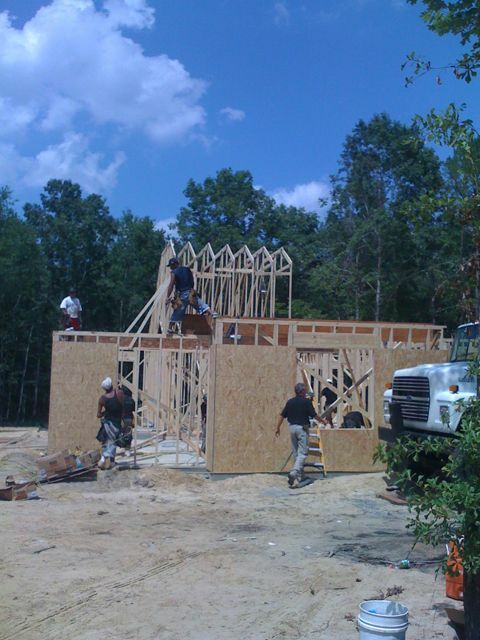 Three framing crews will work all day to get the job done. Thank you again to all of the companies and individuals who made this day possible for the Armstrong family. Thursday is the BIG DAY! Join us! Monday, July 21, 2008 – A dream that has been long in the making will come to fruition this Thursday, when more than 30 volunteers will come together to build the walls for Carol’s Home. The framing on this local version of an Extreme Home Makeover is a one-day deal and workers will be hammering from sun up to sun down to make this dream come true for Carol Armstrong and her family. Please join us anytime on Thursday, July 24, 2008 at the house site (704 Tierra Loop in the Hidden Hills subdivision) in the Knightsville section of Summerville. “Carol’s Home” is a heartfelt project organized by the Charleston Trident Home Builders Association, which heard about Carol being attacked by a stranger and decided to help by building her a brand new, handicap-accessible home. In 2002, Carol Armstrong was brutally attacked by a stranger as she was locking up a medical building she had just finished cleaning. The man stole her purse and her car and left her for dead. Carol survived the attack and a stroke that followed. The attack left her confined to a wheelchair and partially blind. In her current home, Carol is dependent on her husband and two young sons to move from room to room, as her wheelchair cannot make it through doorways. In the new home that members of the Charleston Trident Home Builders Association are building, Carol will have the freedom to cook, paint and go about her daily life without asking for assistance. To read more about the “Carol’s Home” project visit: http://carolshome.info/. We are continuing to educate the public about the Carol’s Home Project. Click below to see the appearance featuring myself and Dennis Coblentz of Coblentz Construction. 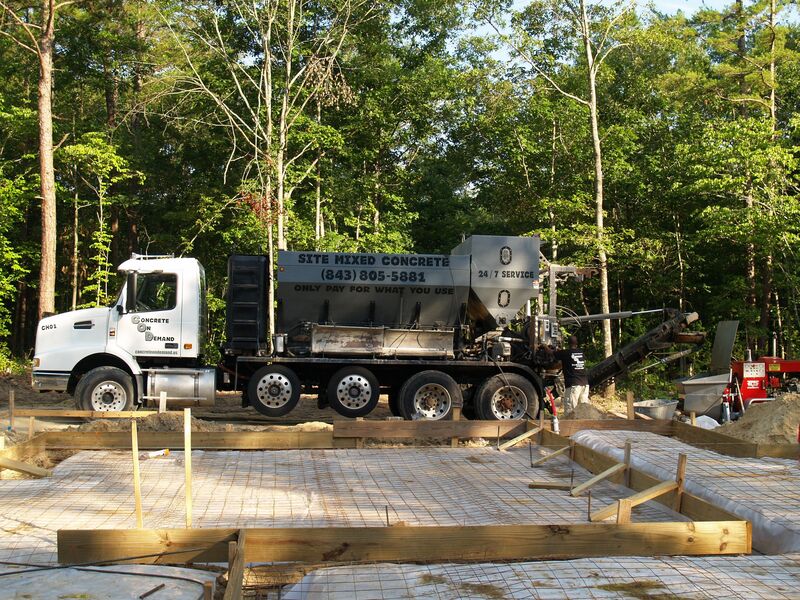 Dennis joined forces with Tom Hendricks over at Concrete on Demand to get the foundation laid for Carol’s Home. We are very thankful to both of these fine gentlemen for their very generous donation. 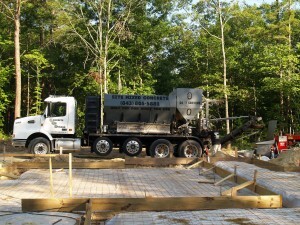 Thank you Concrete on Demand for the concrete and Dennis Coblentz Construction for the work they did on the foundation. I think I heard the number of 70 yards of concrete were used. those that want to view it click on the Webcam link.